Monsters University is still a couples months out but if you've been losing sleep just because you want to see it as soon as possible then you'd just have to settle for the latest UK trailer to hit the interwebs. 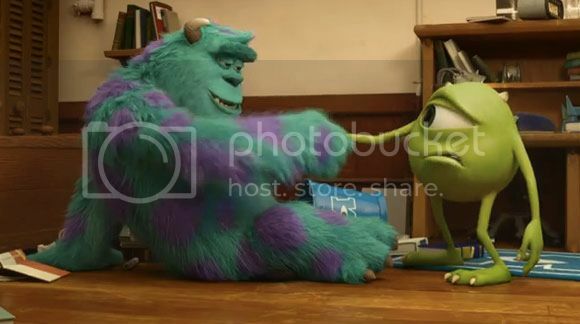 At first I was thinking the story would pick up after scaring was the main source of energy but it looks like we're going for a prequel type of movie here with Sully and Mike at college with a little bit of rivalry going on. Anyways, it's still going to be a great movie and I'm probably going to watch it with all the other adults in the theater.